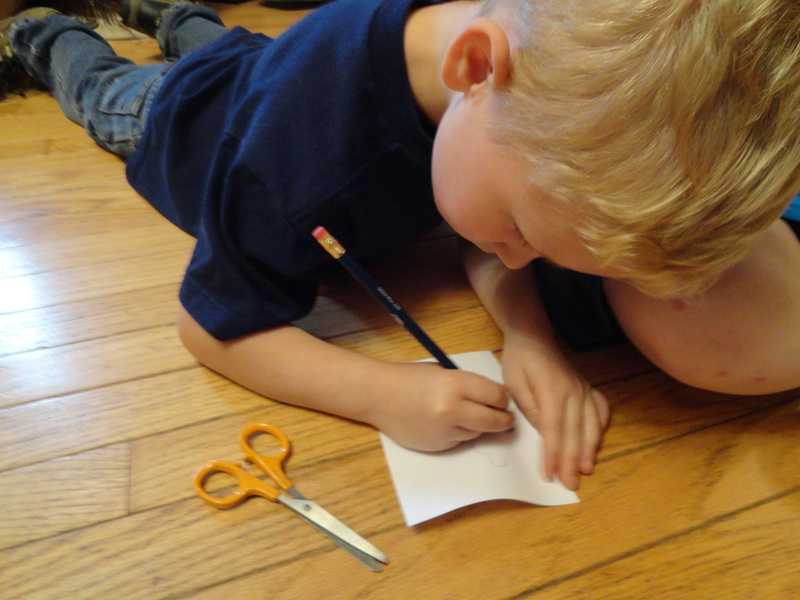 This science-math-arts lesson starts off with the following story. Now we all know that there are no ghosts in real life, but we can make ghosts out of paper. Once upon a time there were three little paper ghosts. 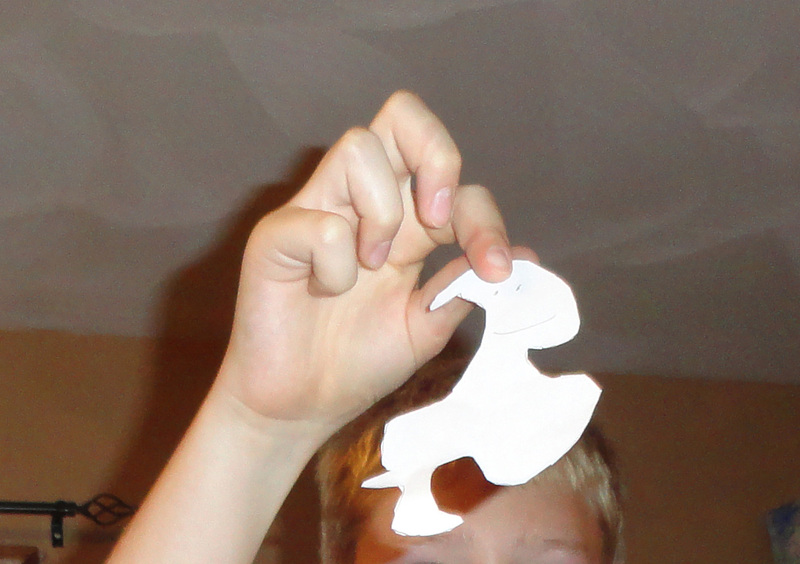 (Cut out a paper ghost) like this one. These ghosts just loved to fly around. Each had a special way to fly. The first ghost would spin round and round as he flew. (spin you hand)The second ghost loved to zip back and forth as he floated. (wave hand back and forth) The third ghost like to jump up and then come straight back down feet (or sometimes) head first. (drop hand fast) One day they decided to teach each other how to do each one’s special flying technique. But try as they might they always flew in their own special way. MATERIALS Half sheets of typing type paper, pencils, scissors, paper clips, chart paper. During the story, cut out a ghost shape while noting that since ghosts are imaginary, they can be any shape we want them to be. Purposely make yours oddly shaped. Now let the ghost fly by holding it over your head and letting go. Next ask: How did it fly? Have them share their observations. Repeat several flights. Does it always fly in the same way? How could we change the a ghost flies? What shape do you think would spin? What would make it fall faster? Record their ideas of other ways to make the ghosts. 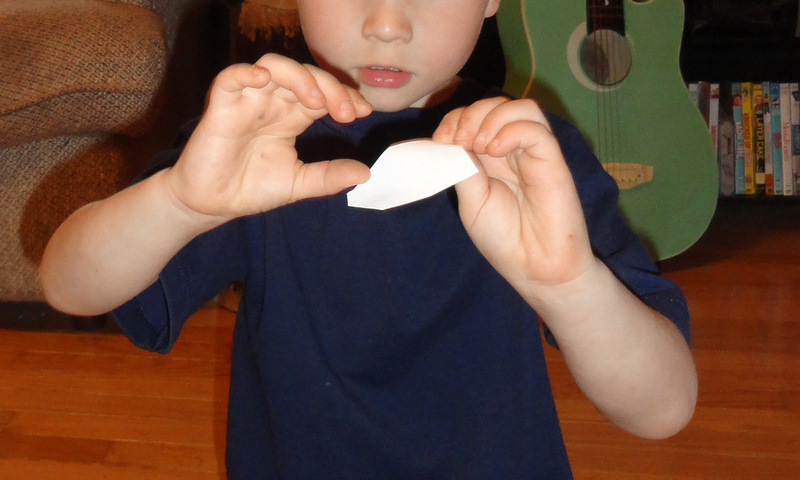 Give out paper and scissors and let them test their ideas by making ghost shapes and letting them fly. (Provide an open area like a rug or outside for the testing). Put out paper clips for those who want to try adding weight. Make several columns on chart paper, board, or an interactive white board. On top of each columns write a way to fly such as spin, flip, float, and drop, Have extra columns to add any other moves they observe. After each test they should put a tally mark in the column that best matches how their shape flew most often. For preschool, you can have them place their ghosts in the proper column using tape or lay them out on a chart on the floor. Study the graph. Count tally marks or ghosts. Study their shapes. What did we learn about how paper ghosts fly? Which shape spins the most? Which floats? Does the paper clips change how it flies? Does size make a difference? What other tests could we do? 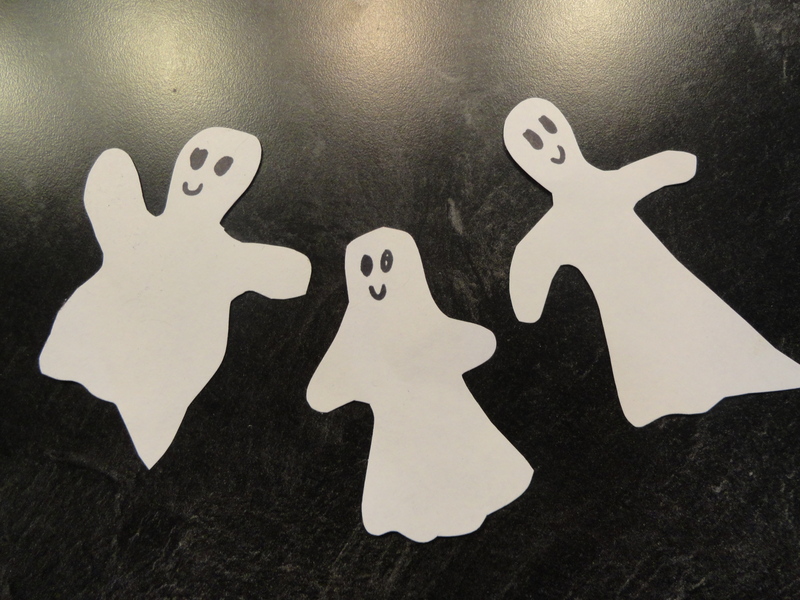 Explore making ghosts with different size and types of paper. 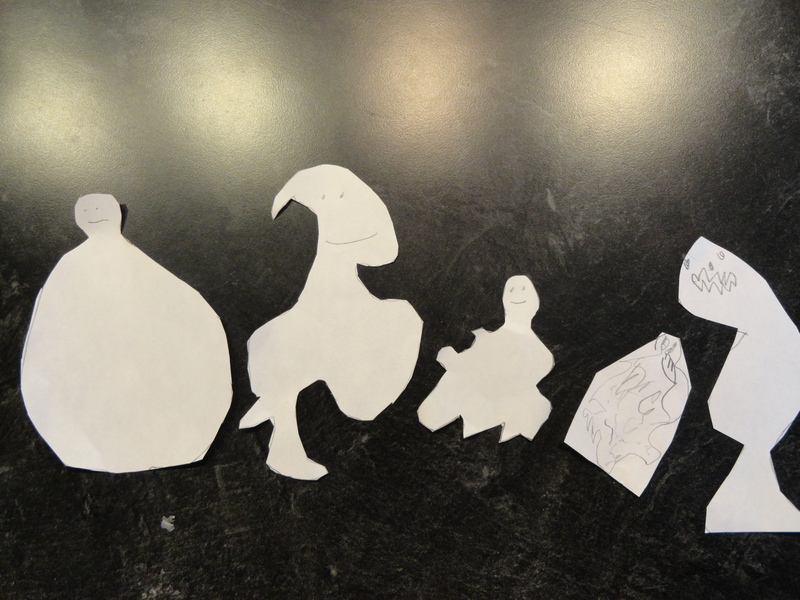 Infuse the arts by suggesting they make a collage using their ghosts.